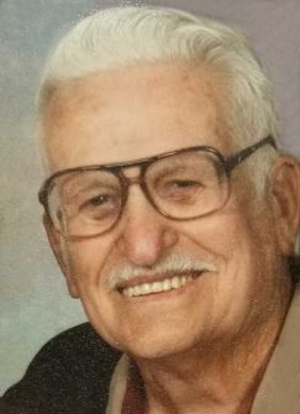 Obituary – Nelson, Howard Edward « Perry High School Alumni Association, Inc.
Harold Edward Nelson, passed from this life on Thursday, May 10, 2018 at the Veteran’s hospital in Oklahoma City after a lengthy illness. He was born on August 9, 1928 in Perry, Oklahoma to Walter William Nelson and Ester Kay Poteete Nelson. 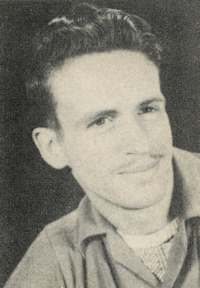 After his graduation from Perry High School, Harold enlisted into the military and served in the Army from 1950-1952. He was a part of the 45th infantry. He took immense pride in being able to serve his country. Harold retired from the Sante Fe railroad in 1989. He lived in South Haven, Kansas and moved to Enid, Oklahoma for retirement. He was always a hard worker, and he loved to do paint and body shop with CB radios as a hobby. He and his wife Rosella were snow birds and spent the winters in Weslaco, Texas. They loved to camp and spend time with their friends. He was proceeded in death by his parents; first wife of 29 years, Rosalee Edgar Nelson; a sister, Hazel Robins; and a brother, Wayne Nelson. He is survived by his wife Rosella Nelson; two daughters, Vicky Lynn and her husband Ron Roop of Arlington, Texas, and Tina Marie Sower and her husband David Martinez of Colony, Texas; granddaughter, Christina Schlottog of Hurst, Texas; grandson, Chase Sower of Colony, Texas; great-granddaughter, Kinley Schlottog; step-daughters, Beverly and her husband Jerry Zemp of Stillwater, Oklahoma, Sheila and her husband Steve Zemp of Perry, Oklahoma, and Vicky Sadler of Oklahoma City, Oklahoma; step-son, Matt (Bryan) Cook of Guthrie, Oklahoma, along with 2 grandsons, 5 granddaughters, and 8 great-grandchildren. Graveside services will be held on Tuesday, May 15, 2018 at Grace Hill Cemetery. Visitation will take place at Brown-Dugger Funeral Home in Perry, Oklahoma from 9am-7pm on Monday, May 14, 2018. Family members will be present from the hours of 6pm-7pm. Services have been entrusted to the care of Brown-Dugger Funeral Home. Memorial contributions may be made out to the Alzheimer’s Association.